During the height of the growing season, visiting the Ottawa Farmers’ Market (OFM) is my version of a kid’s trip to the candy store. The selection and quality of the products available is dazzling, and sets my mind spinning about all the things I would like to cook. Having the opportunity to receive a mystery basket of produce courtesy of the OFM was a genuine delight – I had a so much fun twice last summer creating dishes with the wide assortment of locally-grown goodies (check out the Constantly Cooking archives for previous Farmers’ Feast inspired recipes). 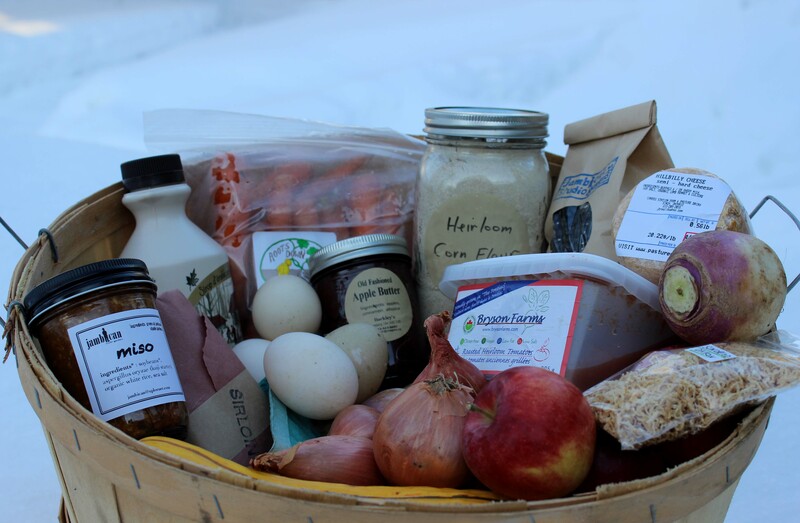 This year, for the first time, the Ottawa Farmers’ Market is operating throughout the winter, thanks to its return to Lansdowne Park. When I was asked to participate in a winter Farmers’ Feast cooking challenge, I readily accepted. Please consider visiting the Ottawa Farmers’ Market now and throughout the year to support our hardworking local food producers.